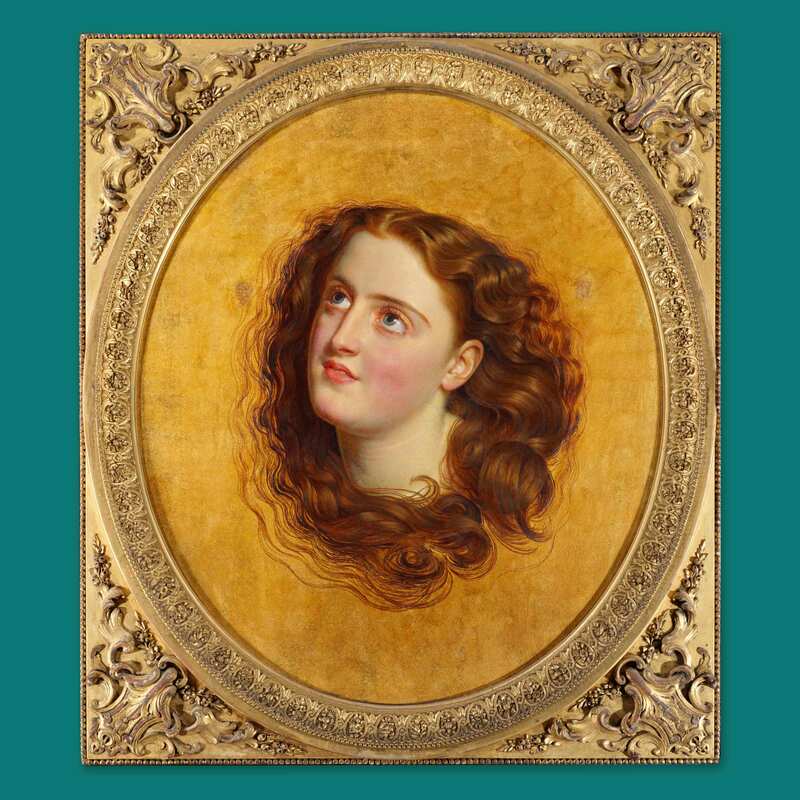 J.H.Valda’s Love is a very interesting emergence on the Victorian painting market as this clearly highly competent artist is almost completely unknown to art-historians. The scant facts of his life are that he was known to have studied at Sass’s Academy, that he had five children, that he lived for some part of his life in Austria and that he returned to England in 1871. Attached to the frame of this painting was a note from the artist’s son (also called J.H.Valda), which tells us that his father died when he himself was seven years old. This son, later to become a noted black and white illustrator, was born in 1874, so we can assume that Valda Senior died around 1881. Stylistically though some thread does seem to emerge. 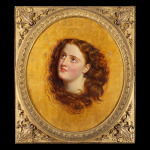 Valda is believed to have studied at Sass’s Academy alongside John Everett Millais and it could be that this early acquaintance directed his art towards the Pre-Raphaelism that is so evident in this present picture. 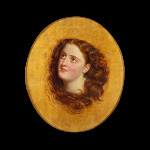 Following the remarkable innovations of the Pre-Raphaelite Brotherhood in the late 1840’s and early 1850’s, a number of painters came into their sphere of influence in the ensuing years. Valda was clearly one of these. 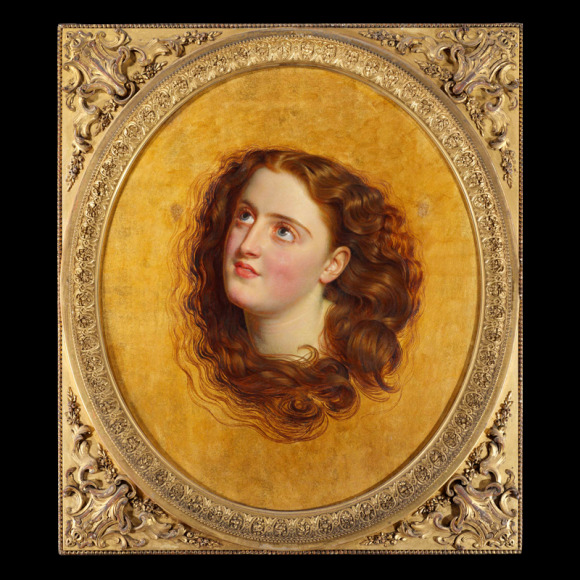 The almost obsessive detailing of the eyes and flesh tones of this model recalls quite strongly the early work of William Holman Hunt. 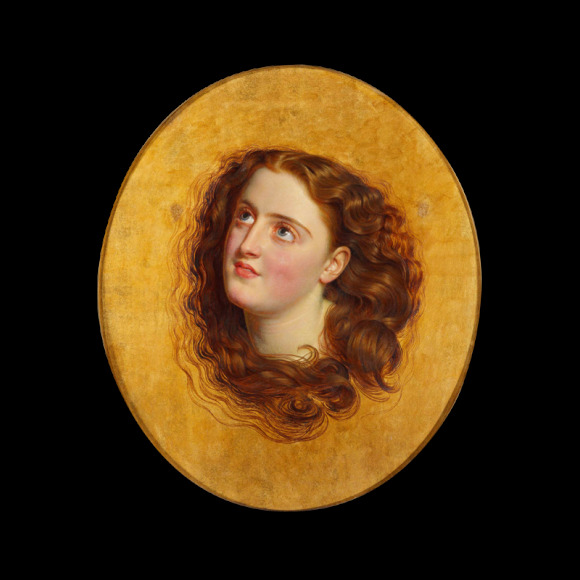 The treatment of the hair has similar echoes of Hunt and also of the highly meticulous Frederick Sandys. Quite where Valda was in these middle years of the 19th century and whose work he knew and admired must remain for now a matter of speculation. As future years unearth further works by him, we shall better understand where he fits into the canon of British art. 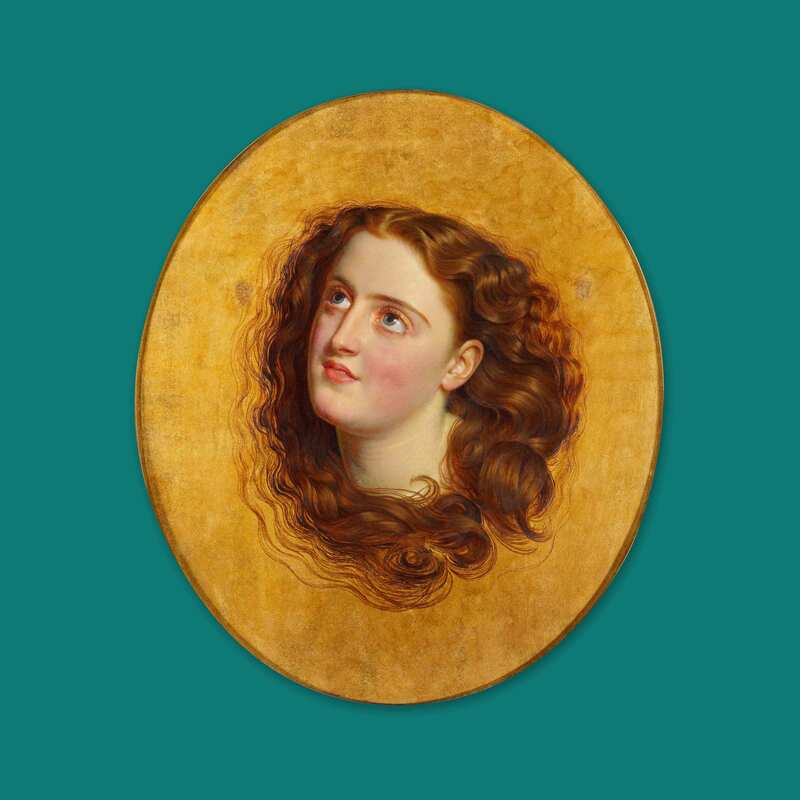 For now however we must content ourselves with admiration for this remarkably accomplished head study that he has produced and look forward to other works of his emerging into public view.